In this episode, I’m once again inspired to introduce to you to an amazing woman that works tirelessly on so many fronts to empower women to find and use their voice for good. Dr. Nancy D. O’Reilly shares the story behind who she has become, her passion for gender equality, and the legacy she strives to leave for daughters and sons alike. A major focus of her and her organizations work is connecting women to collaborate in the support of their purpose, passion, and dreams. “Leading Women” is a perfect example of that: 20 women collaborating on information to help women become leaders. 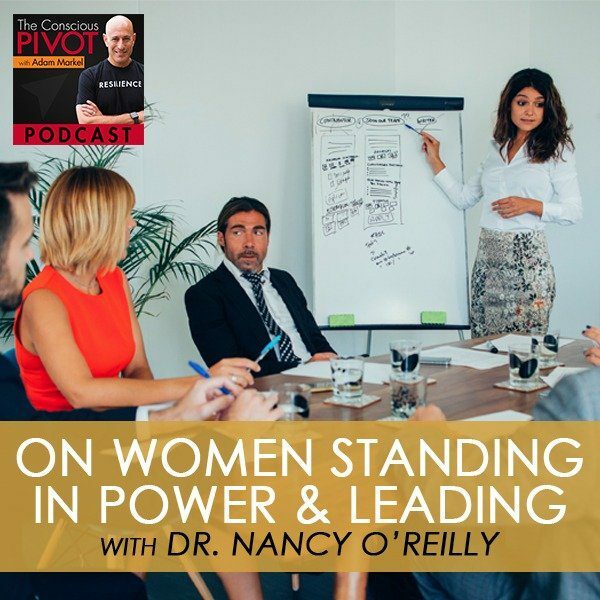 Nancy discusses how women are natural leaders, they just need to know it, and then stand in that power. Nancy is an international philanthropist, author, and trailblazer for women empowerment who founded the 501©3 Women Connect4Good, Inc., which urges women to support each other to create a better world. As a licensed psychologist, motivational speaker and women empowerment expert, Nancy guides women to create the satisfying and purposeful lives they want to benefit themselves, their families and their communities. Nancy also posts conversations with other amazing and inspiring women online at DrNancyOreilly.com. Facebook DrNancyOReilly, Twitter @DrNancyOReilly. I am having a beautiful day. I hope whatever you’re doing right now that you’re loving your life, that your heart is open, that you’re looking around at the world everywhere with eyes wide open, with a heart wide open, and with great hope for the future. There’s nothing but good news. We’ve got challenges for sure. I know we all feel them, but there’s nothing but good news if you look for it. I’m really excited because I’ve got an amazing woman on our show. A few weeks back, we had Sandra Joseph on and got such great feedback about her story and the pivot she shared from being a struggling actress to becoming the longest running lead on Broadway as the lead in Phantom of the Opera. I know we got great feedback and more people that wanted to hear stories from empowered women and women who are empowering other women to show up and be the greatest versions of themselves in business and their personal lives. I’ve got a goodie for you. I’m going to spend no time, spend any voice or any of your time in setting an introduction, but rather passing the baton to this incredible woman to share a little bit about herself, what she’s passionate about today, what she’s interested in, who she is in the world at this moment. I want to introduce Nancy O’Reilly to you. Nancy, thanks so much for being on the podcast. Thank you. It’s an honor to be here. We met down at Del Mar at the Horse Show. One of my greatest passions is my horses, showing them and loving them. Actually that really is probably one of the greatest things that happened to me as far as empowerment. As far as who I am, I am a mother, I am a grandmother, I’m a sister. I am many things. I am a psychologist. I’m a writer. I like to think I’m a visionary. I would like to think that I’m a mentor. I’d like to think that I’m many, many things. Just to give you a little history why I do what I do, because I always start out my podcast, my radio shows, by asking people to tell me their story. I think when we tell each other our stories about who we are, how we became who we are today, there’s a story behind who we have become because of the history, the story, the journey that we’ve taken. I grew up in the south. I was born in Atlanta and moved to Memphis, Tennessee and then actually grew up in the Washington, DC area, Virginia. I had lots of different influences and historically, watched a lot of different things occur because of being in the Washington, DC area. From the youngest time I can remember as a girl, I always had in the back of my mind that somehow boys were better than girls. It was interesting. I didn’t really understand where that was coming from, so my way of dealing with that was I became the ultimate tomboy. I played every sport you could think of. The boys came to my house not to date me but to get me to play kickball, baseball and digging caves. I loved anything that was outdoors, dirt and sports. I still remember the day that my much older sister, Stephanie, said to me, “Nancy, when are you ever going to be a girl?” I still remember stopping and looking at her and I thought, “What exactly is that?” I had to think about it and watch her. The first thing that I did is I went and I rolled my hair in the very front of my hair. I didn’t care about the back. I couldn’t see it. That was my first attempt at being a girl. Fast forward, because I really had difficulty with the whole concept, we would call that in my field leading with a masculine. I was leading with a masculine. The feminine was not in my repertoire whatsoever. As we move forward in history, I was also the girl that was not going to get married, was not going to have children. I was going to be a career woman. I was going to make my mark on the world. As we know, there are always never words. I’ve eaten every one of them so far in my history, every one of them. It’s a warning to never speak in absolutes, right? That’s right. Even in high school, I never dated anybody really seriously because I did not want to get involved. In college, something occurred. I fell in love. Love, then babies. Even then, it was like I assumed my first child would be a boy. My first child was not a boy. My first child was a daughter. My second child, I assumed would be a boy. No, my second child was a daughter. My third time, I definitely assumed this would be a boy. My third child was a girl. During this time, I have a degree for every child. I went to college, had children and continued my education. I believe that God has a sense of humor. I’m just saying that in my own way because I believe that there are no mistakes in the world while things occur. I was struggling with being a woman. I was trying to find my place as a woman. What happens in my life? I have one daughter after another daughter. Women Standing in Power: My greatest goal and my most important thing then was to create a legacy for my children. To continue forward, my greatest goal and my most important thing then was to create a legacy for my children. I had been going to school; sociology, psychology. I wanted to be a therapist. I always wanted to be in the helping profession, to be in the service profession. My grandfather was a Methodist minister. My father was a Gideon. I came from a background of service and helping others so that was a very strong variable always in my life. I wanted to create a legacy for my children, my daughters. My research was on women and professions; women in the professions themselves. I went ahead and then I went for my Doctorate in Clinical Psychology. I wanted to show my daughters they could do anything. I wanted to create a pathway, a place that they could follow and know that no matter what, they would be fine. They could do whatever they wanted. To carry the story further, my children have had children. I have seven granddaughters. This legacy is bigger and bigger and gets stronger and stronger. My youngest daughter had the first boy in the family. His name is Tristan. He was born on Valentine’s Day. We do have our male, our little boy Tristan, and then my granddaughter had Julian. He is three also. The boys are here but I’m sure every one of them will wear a dress. I guess what I’m going to say though is my daughters are extremely feminine. They have the masculine and the feminine and they’re very, very beautiful young women. They also are very much in the service field as well. I started doing radio about ten years ago like what you’re doing right now. What you said was that growing up, you thought that boys were better than girls. We have three daughters and a son. Our daughters sometimes said I remember, “Girls rule and boys drool.” Our girls grew up saying things like that at times. I think they have a healthy self-image and they were competitive a little bit. It probably came from their mom more than me. I’m just curious, and it’s not lost to me, the irony and you said the humor. It’s both of those things, and it’s also something pretty telling that when we’re working on ourselves oftentimes the universe, spirit, God, will deliver you exactly something to help you to work on yourself, even when we’re working in service to other people, which is pretty incredible. That’s why you do find oftentimes that lawyers don’t have wills or a shoemaker whose kids walk around with holes in their shoes, that kind of stuff. What do you think it was at the time either in your upbringing or in your experience that had you believing on some level that boys had it over girls? It had to be intuitive because also in my family I have strong female role models. My mother was a million-dollar sales woman, realtor in Washington, DC. My grandmother ran a jewelry store and then my other grandmother being a minister’s wife, the minister’s wife works day and night alongside her husband, but typically is running many, many programs herself. It wasn’t that I didn’t have strong role models. It’s when I went out in the world, worked in the world, was in the world itself that I felt like there were challenges as far as how I was being valued or how I saw other women being valued. You probably saw inequality all over the place, pay disparity and other examples of inequality, right? You were in your teens still? Yeah. The messages were that, “You’re a girl.” A lot of it was very intuitive. You found yourself adopting more of a male energy. You were more on the yang than the yin. After I received my doctorate though, I worked in a hospital setting. I was the director of EAP. I wore suits with padded shoulders and ties. That’s what we did. We led as males. We led as women with our male characteristics. Back then, there weren’t a lot of female role models for us to really look at in the Corporate America or whatever setting you might be in. You had to get along and go along with whatever was going on at that time. I worked long enough in the Corporate America, the business area and that setting to say, “I can’t do this anymore.” This is when I basically left as a psychologist and started my research and wrote my first book which was Timeless Women Speak: Feeling Youthful at Any Age. One of the things that occurred as I was growing older, this masculine thing that was going on is that I recognized something very, very early on. I still believe it’s true, if you want to be loved in our society, American society, you have to be young and beautiful and thin. This is what the market drives us to do. This book was written back in 2000. This book has been researched based on 2,500 women, interviewing them and have focus groups, talking to them about how they felt about growing older in our society. I was feeling invisible. I was becoming invisible as I was growing older. It was interesting to find that the more I sat down and talked to 20-year-olds to 80-year-old women how they felt about our society in how they were viewed. I’ve had a really good many, many years to really observe how women view themselves and how the market views them. You say you have three daughters. I can guarantee you that women buy 85% of products and services in the United States. We are over 55% of the population. Why aren’t we running the market? Why aren’t we deciding what products that we buy and really running the market? If you look at the ads that says, “They’re young, they’re beautiful. Use this product for seven years and lose ten years.” I’ve tried that. It does not work. You don’t have an airbrush at home, that’s why. I don’t have an airbrush. I’m not Photoshopping myself. These are subtle things that what my job I believe is, as a psychologist, the legacy that I want to leave to my daughters as well as their daughters and the daughters that are yet to be and their sons as well, is that we have to start looking at ourselves. You’re talking about the spirit. You’re talking about being authentic. This is where I am at now, women’s leadership, women empowerment. What I’m really doing now is gender equality. I want everyone to be on the same page and feel connected. I have two foundations, Dr. Nancy O’Reilly Family Foundation which I have with my daughters. We’re very philanthropic. Then I also have Women Connect4Good. Women Connect4Good has one mission and one mission only, women supporting the efforts, the passion, the purpose, and the dreams of other women. Women Connect4Good really is all about women. As I said on the radio show, this is where the website came from; the foundation and the book and everything else is that these are all women that were doing amazing things in the world for other women. That was it. These are all, and I’m still doing this today, conversations with amazing women. These are women that are truly helping to empower and help other women to find their dreams, to make their dreams come true, their purpose and their passions, and help them with that. I was talking to a woman one day. I remember I said, “Mary, how can I help you?” All of a sudden on the other end of the phone it became very, very quiet. I said, “Mary, are you still there? Where are you?” She said, “You mean you want to help me?” I said, ” That’s exactly what I want to do. I want to help you.” Unfortunately, a lot of women aren’t very good about asking for help. Something amazing occurred in my mind that what I wanted to do was to make sure that women were not only getting the help but also reaching other women to do the same thing. The book, Leading Women: 20 Influential Women Share Their Secrets to Leadership, Business, and Life, was born. Your good friend, Kristin Andress, is one of the co-authors. These are twenty women, including myself, talking about how they are doing just that, helping other women philanthropically, helping women to drive their passions and their dreams to come true. This has been my life-long purpose to really just reach out, build this community of likeminded women, to build a community that body, mind and spirit are truly engaging and helping one another; a sisterhood of women. You can put five women in a room and they can plan a project, they can budget the project, and have it ready to go when they walk out the door. We’re amazing. Gloria Feldt was one of the founders of Planned Parenthood. She is an amazing woman. Gloria’s passion is women’s leadership. We are 75th in the world when it comes to women’s leadership. We aren’t there. You think of Indira Gandhi, you think of all these other countries that have had the Margaret Thatchers, you think about women in other countries historically that have been leading their countries to great success, we have not had that history. We are 75th in the world. Take The Lead and Women Connect4Good now are partnering to create equal parity as far as leadership in our country for women by the year 2025. I’d love to see it happen sooner than that but you’ve got to start somewhere. Equal gender parity, we all have to come together. We all support one another. It’s going to take every one of us to connect and to really come together for these things to happen. What do you see is the greatest challenge that women are facing in the world today? I know some years ago, my wife, Randi, was working and she’s led women circles and retreats and helping women come together as a sisterhood. One of the things that they were working on in their circle was actually entrepreneurial women that wanted to, as was modeled in your house by your mom and others around you, help them to be more their authentic self in business versus being pretend-men in business. The greatest thing is to find someone who’s better at doing something than you are. The greatest thing is to find someone who’s better at doing something than you are. That’s what I do. I surround myself with people that are better doing something than I can do. That’s vulnerability. We have amazing communication skills but we have to use our voices, learning public speaking, learning to go out and be at the podium, stand up at the podium, use your voice for good. The one thing that women are very, very good at is that we are problem solvers. We see the problems, we see the issues, and we’re very good at solving those. We also need the help and the collaboration, and using our communication skills and the ability to see the big picture then see the details to solve the problems. You can’t do it by yourself. You have to reach out for help. The last thing I wanted to ask you about is mentorship. Does that all fall under an umbrella of mentorship? Where does that fit in? Surround yourself with people who get who you are, what you’re trying to accomplish and also support you. You have to reach out, you have to ask for that. Your mentor is not going to walk up to you and say, “I want to mentor you. I want to be your coach. I want to be your cheerleader.” That’s the other thing, supporting yourself and surrounding yourself with cheerleaders. Surround yourself with people who get who you are, what you’re trying to accomplish and also support you. Something that’s occurring more and more in our country is called the stiletto networks. These are women that are in Corporate America coming together not only to talk about their businesses but they’re talking about their children. As a past director of EAP, I know that what happens at home affects what happen at work; what happens at work affects the home. These women are coming together and really be involved. For many of you who have read Pivot, you know that it’s so important that you have mentors in your life. In fact, to me what we call pivot people are three specific groups of folks. One, your stakeholders who are the people that are most impacted by your pivot, by the success of your pivot, the people who are the mentors, the people who’ve been there and done that that you ask. I love what Nancy said about asking. Simply ask for someone to offer you their guidance, offer you their wisdom, offer you the opportunity to learn from their mistakes. As Nancy also said I think very wisely so, it doesn’t mean you’re not going to make mistakes, it doesn’t mean that you won’t make some of the same mistakes even or new ones entirely. There’s no question that a mentor can save you years and years of trouble, can help you to understand how to debrief the situations in your life so that you know what you’re actually learning from, what you’re experiencing. I also believe a third group of folks, in addition to your stakeholders and your mentors, are the people that you get together with, your peers that you mastermind with to create incredible solutions to the challenges that show up. I also love what Nancy said about not just women, but she mentioned that in the context of women, learning how to use their voice for good. I think this is not a gender-specific call to action. It’s one for men and for women, to use your voice for good and learn how to speak effectively in public. Needless to say, it’s probably the most important skill, the most profitable tool that you can learn even in a corporate setting, in a career, on a traditional career path. Learning how to speak publicly, to be able to present, to be able to enroll, to be able to speak a vision is a top skill set to move up in that situation. It’s so effective in so many other areas of life whether it’s raising capital for a project, for a business, encouraging others to join you in your business, whether it’s to be an employee or to be an investor or be a joint venture partner. 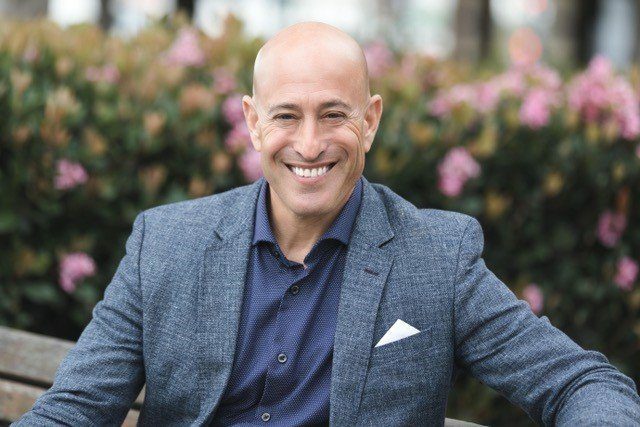 You really have to master the skill of speaking effectively, communicating persuasively, enrolling, having enrollment conversation, being able to sell, sell yourself, sell your products, sell your business, sell your vision. These are phenomenally important things. I fully agree with Nancy that these are things that are game-changers for women and for men alike. Nancy O’Reilly is an absolutely incredible woman and she’s done some amazing things, part of an incredible family, the O’Reilly Auto Parts company that many of you have seen probably everywhere in North America. Women Connect4Good is one of her foundations and I want you to definitely go to DrNancyOReilly.com and you can get information about Women Connect4Good so that you can find out more about how to participate, how to support women empowering women. As Nancy said earlier, women leading as women, women collaborating, women asking for help. Just incredible things that she’s up to. I love the fact that we could have her on the podcast as a guest and look forward to more opportunities to learn from her and share her wisdom and her message and the tools and the resources that she has for women in business in every area of our life experience. Get a mentor, be a mentor. I want to say thank you so much for being here for this episode of The Conscious PIVOT Podcast. It’s been a pleasure to spend this time with you. We look forward to seeing you again very soon. Also, if you’re on Facebook you can go to Start My PIVOT and there’s a community of pivoters, people who are consciously pivoting in their business and personal lives. I think you’ll find it absolutely incredible. Nancy used the word vulnerable, how important it is to be able to ask for support. Be vulnerable. What’s beautiful about the Start My PIVOT community is it’s very like-minded, like-hearted people that are connecting, looking to both be a mentor and be mentored. I thought that was incredible as well when Nancy said, “Get a mentor, be a mentor.” Those are wise words, words of wisdom. I’m going to leave you all with. I hope you’re making great choices in your life, that you wake up tomorrow morning most importantly, that you’re grateful for the fact that you’re taking your first conscious breath of the day looking for inspiration, standing up, putting your arms up in the air or putting your hand on your heart to declare, “I love my life.” I hope you do in fact love your life. I wish you all of your heart’s desires, all of your dreams come true. I love you and we’ll see you soon. Ciao for now.